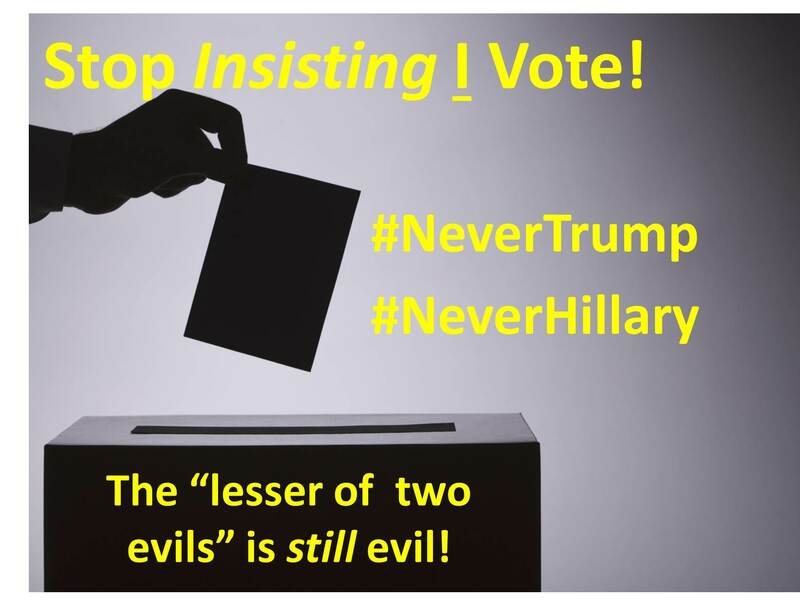 The #NeverTrump and #NeverHillary contingents exist because their respective presumptive nominees are anathema to them. Trump supporters insist that a refusal to vote for Trump is actually vote for Hillary. Hillary supporters make the mirror claim. Both claims are nonsense. A non-vote never adds to another candidate’s vote tally. 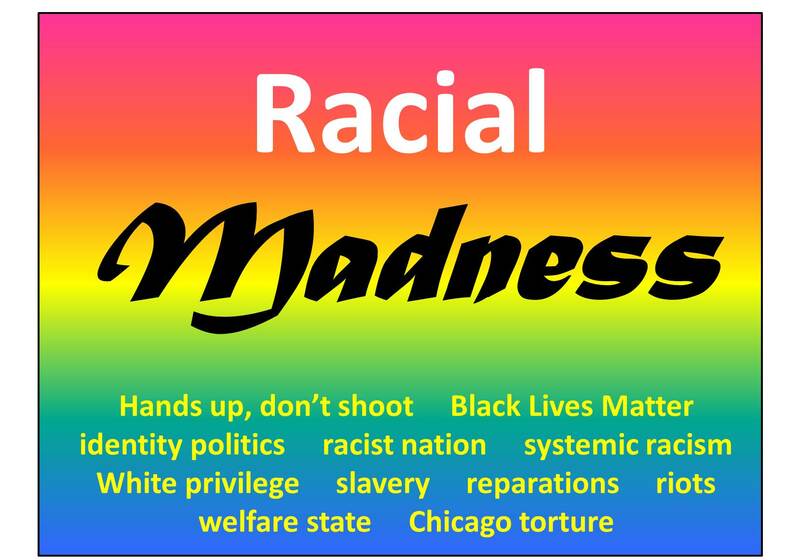 Moreover, each group of supporters impugns the motives of the Never groups. It is not a matter of pique over a preferred candidate losing. Rather, it is a principled response to a candidate whose character, values, or agenda is contrary to their own. Indeed, in both camps, the presumptive nominee is abhorrent to a huge swath of their own party. I (and others) have posited this moral dilemma: If the only two choices on a ballot were Hitler and Stalin, whom would you vote for? Pro-Trumpers have skirted my question, claiming that Hillary would be worse than The Donald. That was not the question. If your only choices were Hitler or Stalin, whom would you choose? Whom would you vote for? That is the operative question. Any vote is ultimately a vote for someone. In voting for a particular candidate, you assume responsibility for the consequences of that person’s election. Had you – out of some misguided obligation to “vote for the lesser of two evils” – picked Stalin, you would be culpable for his purges and gulags; or Hitler, his Holocaust. If you choose the lesser of two evils, you are still choosing evil. When two candidates are equally repulsive, albeit in different but overlapping ways, then not voting may be the best way to appease your conscience. Anything less is affirming the evil you abhor. This entry was posted in Uncategorized and tagged Adolf Hitler, Barack Obama, civic duty, conscience, Donald Trump, failure to vote, gulags, Hillary Clinton, Holocaust, John Lithgow, Joseph Stalin, lesser of two evils, NeverHillary, NeverTrump, non-votes, not voting, purges, Third Rock, voting on May 9, 2016 by BrotherWatch.